Exactly one month later and I'm back to blogging. So sorry for my absence... I had planned on blogging while I was on vacation, but I decided not to blog and actually enjoy my trip to the fullest. Alhamdulillah I had such a great trip to Iran & Dubai and I will be working on blog posts with pictures and vlogs of my time there! Thank you to all those who sent me emails and reached out to me while I was gone, I haven't been ignoring you, I will get back to you soon inshaAllah! Here's my outfit on the day I was heading to the airport for Iran. It started snowing as soon as I walked out of the house and I had to take snow pics! 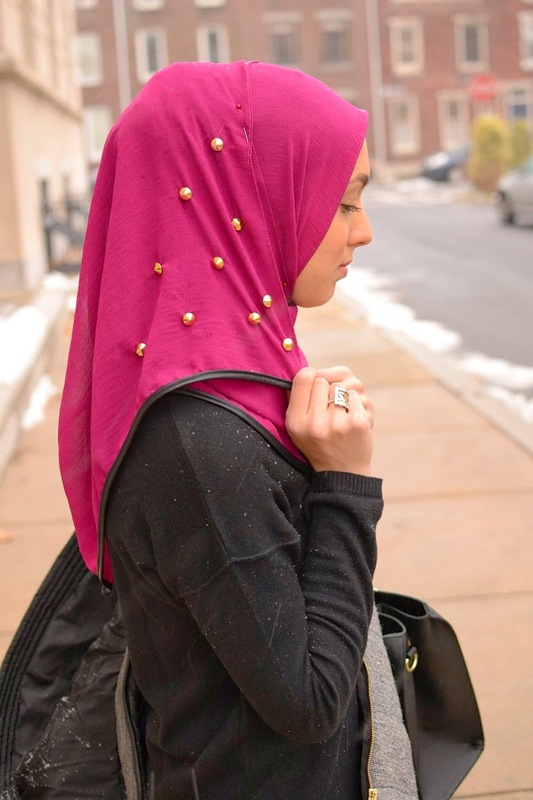 :) Here I'm wearing a beautiful Vela hijab my friend sent me with studs and leather trim, two things I love the most! She knows me toooo well! Welcome back princess, you're looking good. Love the vest! 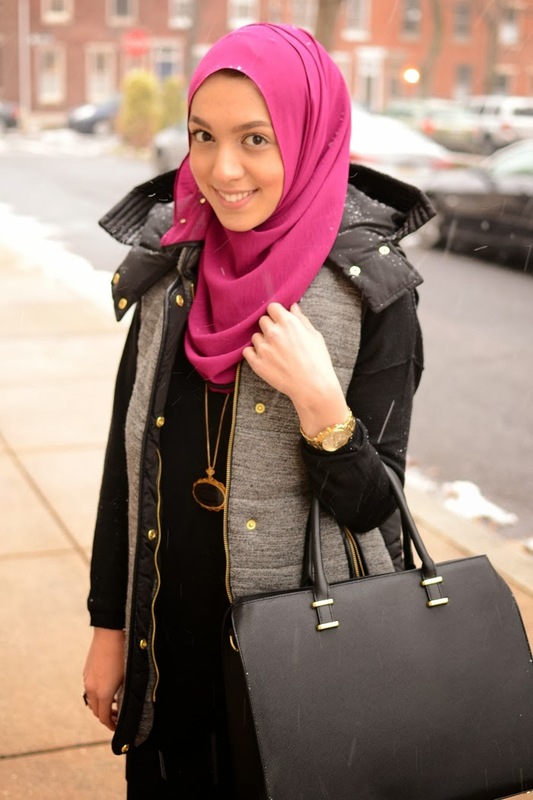 The pop of pink is so chic!